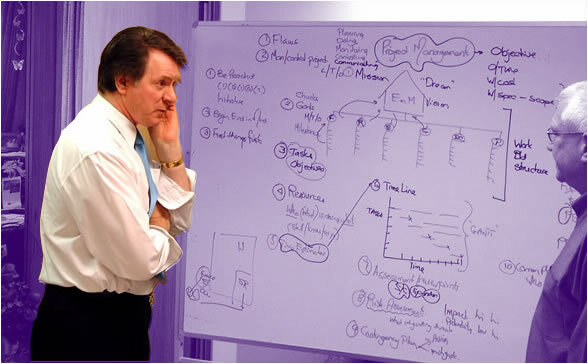 Our programmes are presented by our Principal Consultant and Director, Mr Bill Butler B.Com, C.A, Dip. Soc. Sci. (Psychol). Bill has a wealth of training experience gained in a variety of organisations and cultures following his entry into the personnel development field. Before that he was General Manager of the New Zealand Institute of Chartered Accountants, a major professional body with over 40,000 members, recently merged with the Institute of Chartered Accountants of Australia. Since then, Bill has successfully presented in house and public programmes for literally hundreds of commercial organisations, government departments, local authorities and SOEs, bringing to each a unique combination of business, communication and people skills. Bill adopts a consultative and interactive approach to all his training, drawing on the work environment, examples and experience of all participants. He has a strong background in management and with his qualifications in Accounting, Business Management and Psychology, he is able to present a diverse range of programmes to Senior Management and support staff alike. Bill has considerable experience as a conference speaker, has written and produced his own radio programme and has appeared on the "Good Morning" television programme. His work in Leadership, Project Management and Problem Resolution extends beyond New Zealand, into Central America, Australia, Singapore and more recently, the Middle East. In the training role, he seeks to engender a crystal clear focus on outcomes through a thoroughly professional approach which is both motivational and innovative.